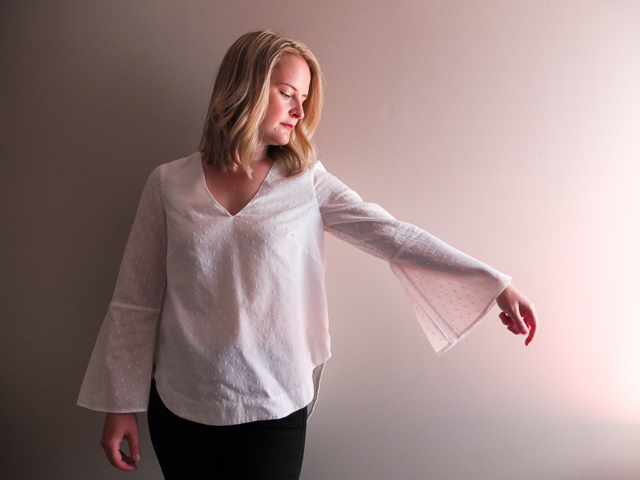 While I was gallivanting around Spain, some people were being productive, like Megan Nielsen who released another pattern, the Dove blouse. 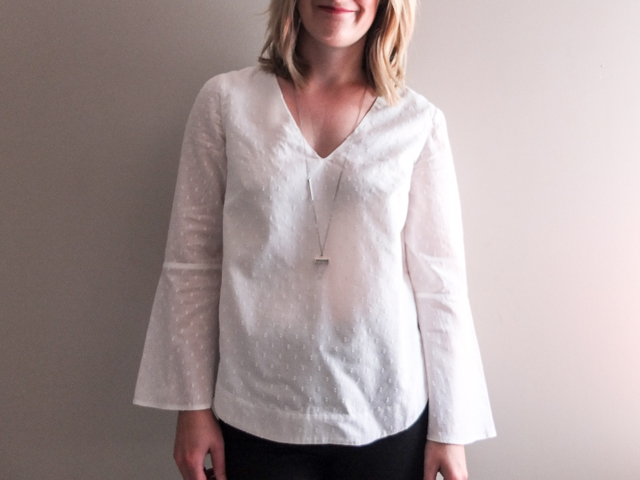 I had the privilege of pattern testing it in June and I'm so happy to finally get the chance to tell you about it, because I like it and because I have a lot to say. I hope you're ready. 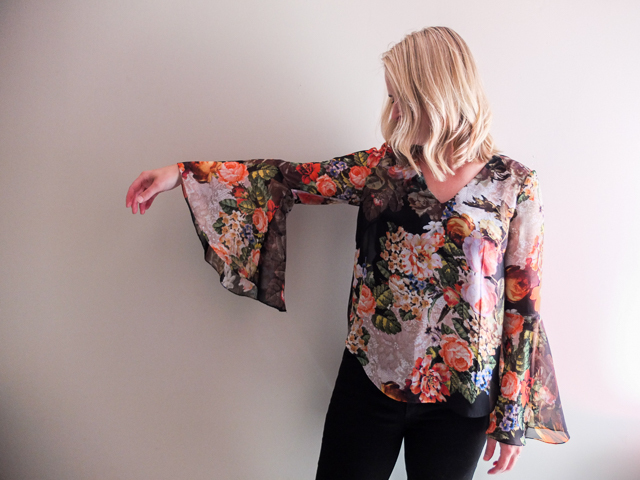 In addition to a muslin in cotton voile, I made two Doves, the bell sleeve version in floral chiffon and the flared sleeve version in cotton swiss dot. Now, just because there were no fit alterations, doesn't mean there weren't struggles. First, a word about fabric choice. 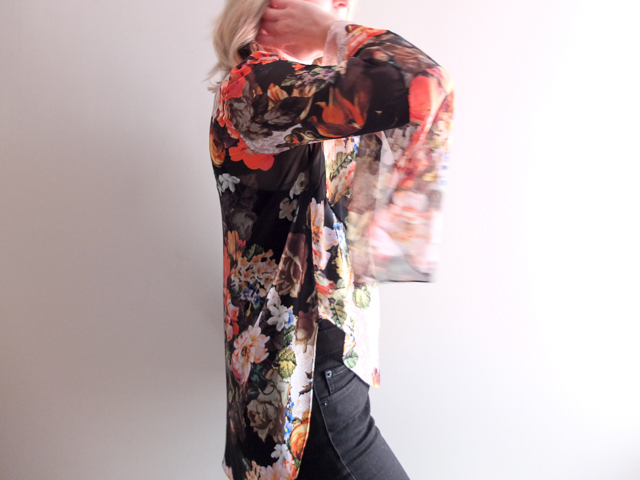 When I went shopping, this floral chiffon immediately jumped out at me and screamed "Dove! ", as fabric tends to do. Perfectly bohemian modern, if that's even a thing. Problem is, I had never sewn with chiffon before. Haha! Probably not the best idea when you're pattern testing. Like most things in sewing, once I sat down to try, I discovered it actually wasn't as difficult as I had imagined. Adjusting my tension and presser-foot pressure helped and interfacing the facings before cutting saved some frustration, I'm sure. It was the hemming where I ran into problems. 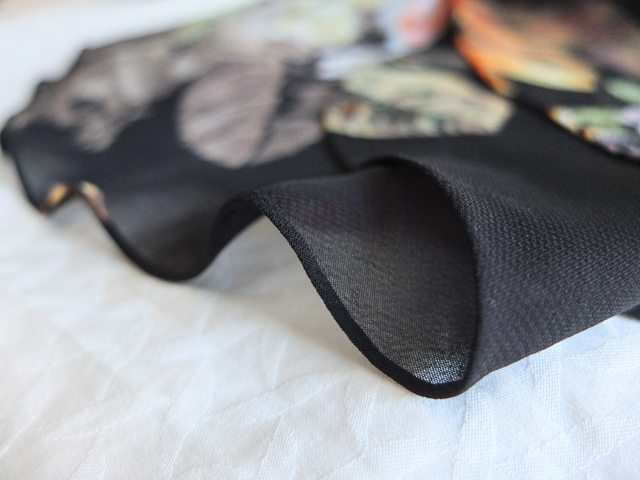 My sewing machine hates tiny hems, and tiny chiffon hems were vehemently rejected. After much cursing, I ended up rolling all the hems by hand! It's not as painful as you might think, and kind of magical. Check out this tutorial. I am worried about them coming apart in the wash, but so far so good. The other thing you need to take into consideration when choosing your fabric is the sheerness factor. 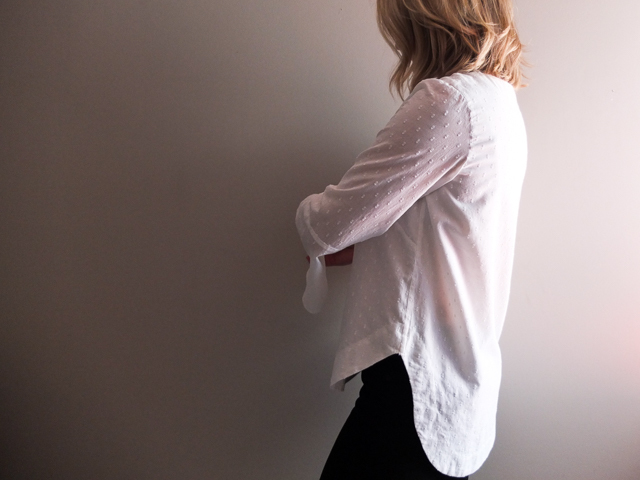 Dove uses facings at the neckline and the bottom hem. You may not like the way that the facing shows through your fabric, so you may have to plan an alternative to get around that. 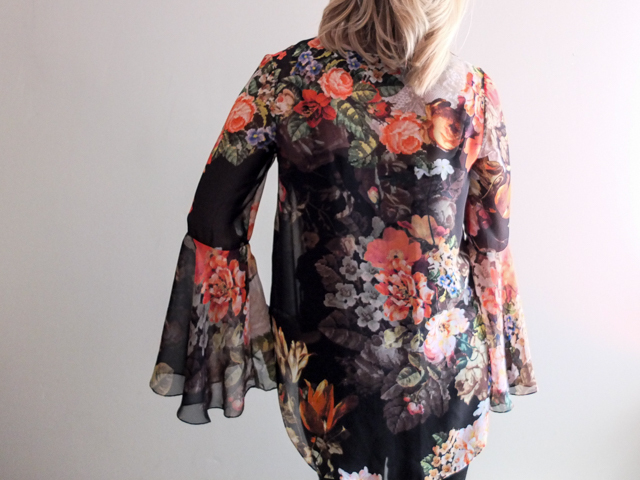 In this case, I thought that the top was busy enough that the neck facing wasn't too obvious, but I wanted the bottom to remain flowy, so I rolled the hem there. Naturally I thought that the cotton version would be easy peasy in comparison to the chiffon, until I realized that the fabric was too sheer. Ugh. This seems to happen to me a heck of a lot, where I think it's fantastic in the store and only notice the sheerness once I get home. Anyone else? I have two different white knits that I bought recently and have no idea what to do with for this reason. Maybe I should just avoid white. Anyway, I digress. In this case, it was too sheer all over, so I decided to line the bodice. Again, not a technique I'm super familiar with and I had a tough time with the armholes being too tight. 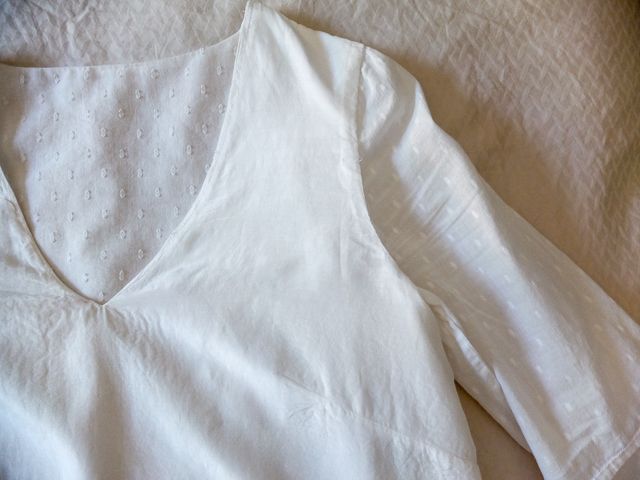 And a word of caution about stay-stitching necklines: when it's recommended, it's for a reason. Do it. My machine again was fighting me on this, so I gave up halfway down one side, and boy do I regret that. Of course it stretched out and it bothers me so much that it's unwearable. Lesson learned. I'm not sure I love the faced hem on this version, either. I guess I prefer a more seamless, flowy hem in a blouse. Noted. 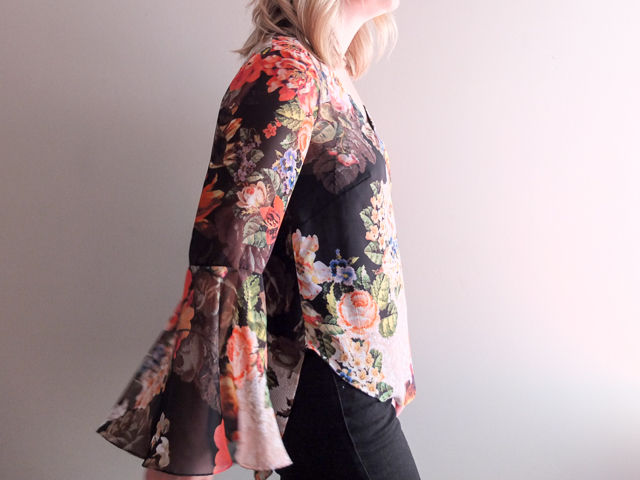 I'm not going to lie, the process of sewing these two blouses killed my sewing mojo for awhile. But none of my frustrations were anything to do with the pattern, and everything to do with my inexperience and the silliness of testing a pattern with unfamiliar fabrics. I could've used some of the super helpful tutorials that Megan put out following the release. It also could have just been frustration overload. I should've walked away for awhile, but I kept at it, and that often takes matters from bad to worse, doesn't it? Despite this rather negative post, I do really like this pattern. Sure, the white one will probably be made into something else, but I love the floral one. 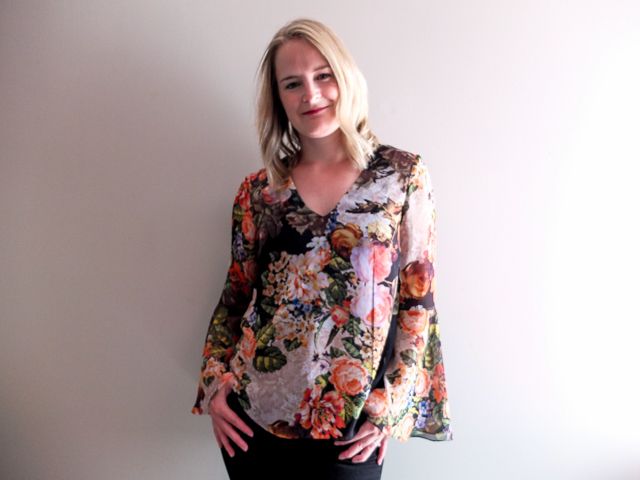 I've worn it a couple of times now to parties, and despite my sleeves elegantly dragging through the dip on occasion, I loved wearing it! It looks like something I would buy, and that always makes me proud. I'm also excited to sew another one. I bought a lovely light blue tencel recently that is destined to become a Dove. Fingers crossed that fabric is more forgiving.